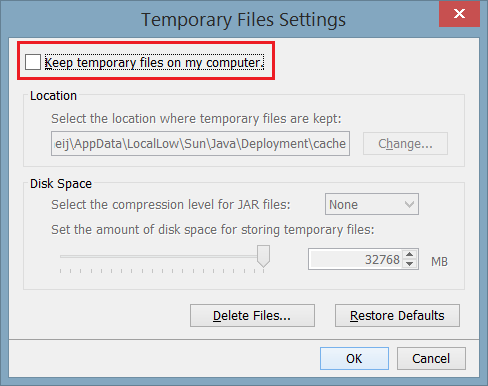 Disabling temporary internet files does not lower the security of the machine but will slow down the performance of Java (as its no longer caching files). 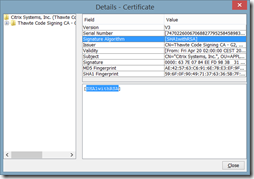 In general, the certificates used to sign the JAR files of the Citrix NetScaler are no longer verified and the revocation is not checked, While this fixes the problem I’m having trouble to accept that I need to lower the security of the entire machine as it might compromise my computer due to the lowered security. 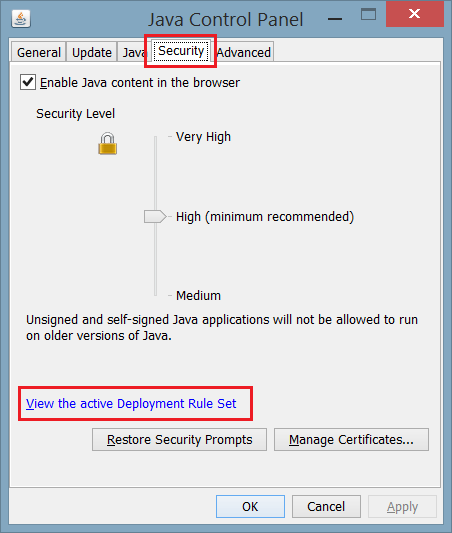 In Java 7 update 40 a new feature was introduced called “Deployment Rule Set”, designed to address the issue of security and compatibility in browser applets without affecting normal back-end Java programs (introduction article) aha!. Potentially (if you configure the file wrong) you deny all other Java Applets. 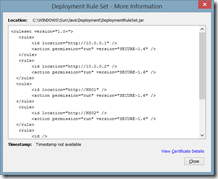 If you want to use the deployment rule set there are a number of steps that need to be followed. 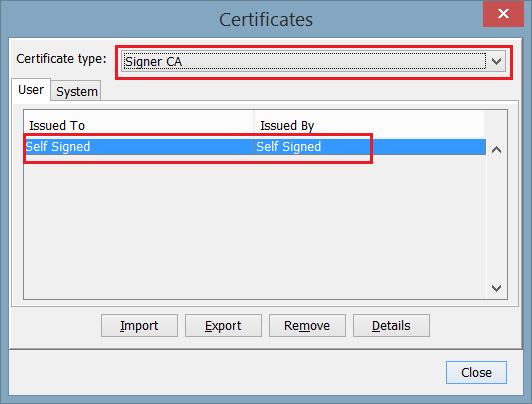 If you don’t have a certificate (with private key) that’s trusted by your client you can create a self signed certificate. 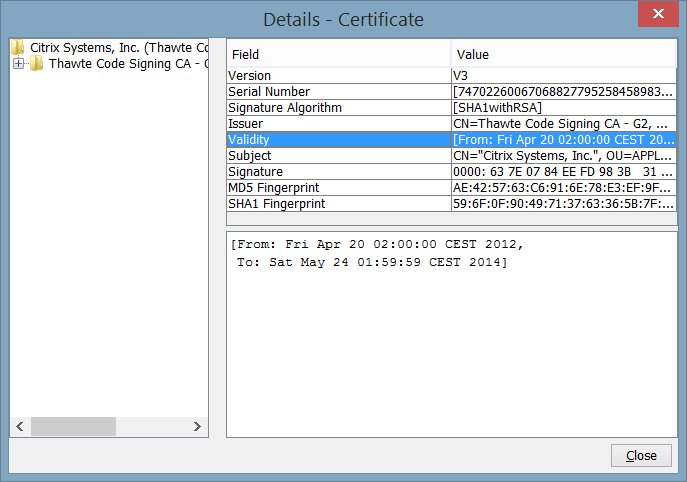 This certificate is, by default, trusted by no one. It is meant for (local) testing purposes. 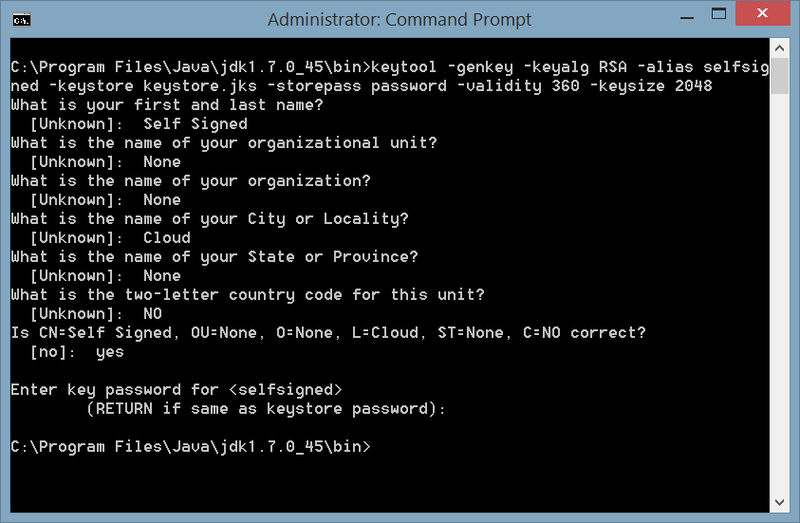 There are three activities involved, two of them use the keytool executable that’s part of the Java SE Development Kit (JDK). 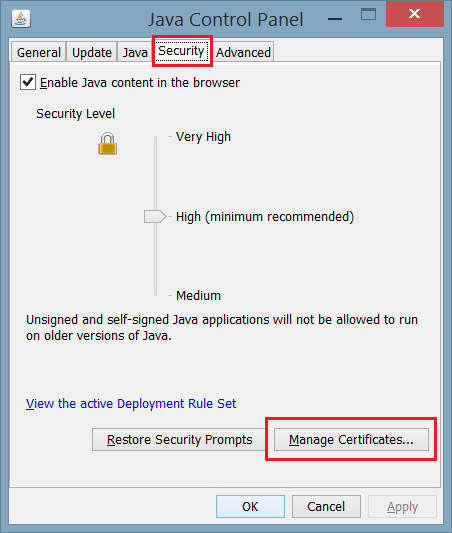 Open Java Control Panel, open tab Security and click on Manage Certificates. 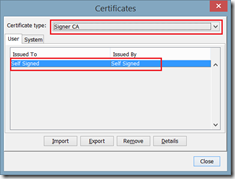 Select the Certificate Type Signer CA and import the certificate you exported in the previous activity (SelfSigned.cer). 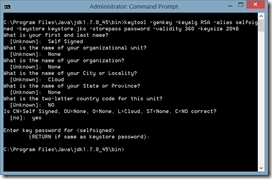 Wildcards (asterisk) cannot be used for hostnames (that includes IP addresses). In other words, you need to specify the address of each Citrix NetScaler you need to administrator individually. The action that’s applied to the rule consists of a permission and a version. The permission is either run, block or default (where the default processing rule is applied). With the version identifier the version of the JRE that’s used to run the RIA. 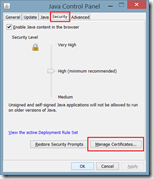 Since the 1.6 JRE did not include the certificate checks like certifcate revocation the applets of the Citrix NetScaler work when this version is used. 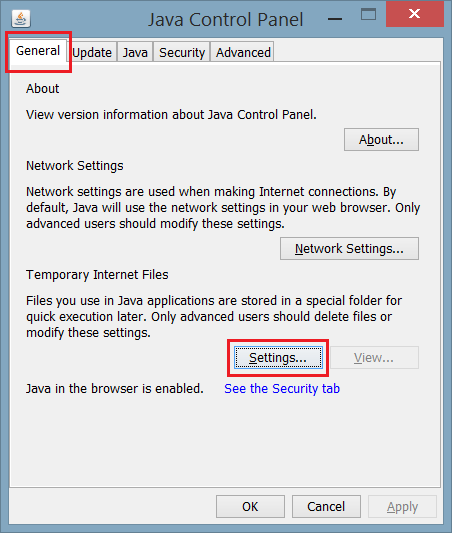 In this example I allow Java to run the RIA using JRE version 1.6 on the hosts NS01 and NS02 using their hostsname and IP address. All other RIA’s that I run use the default processing rule (so it doesn’t change the default behavior). I would recommend storing the ruleset.xml file in the same folder as where jar.exe resides (in my example C:\Program Files\Java\jdk1.7.0_45\bin). Why? Because JAR uses the absolute path when you add files to a JAR file. 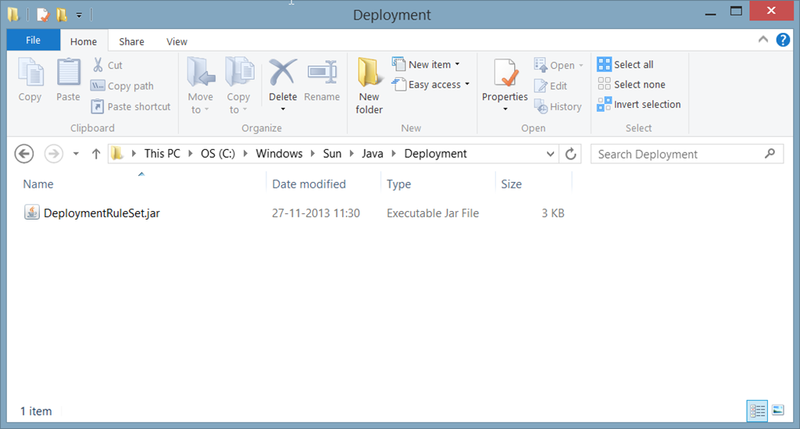 I created the JAR file DeploymentRulesetUS.jar because its unsigned. 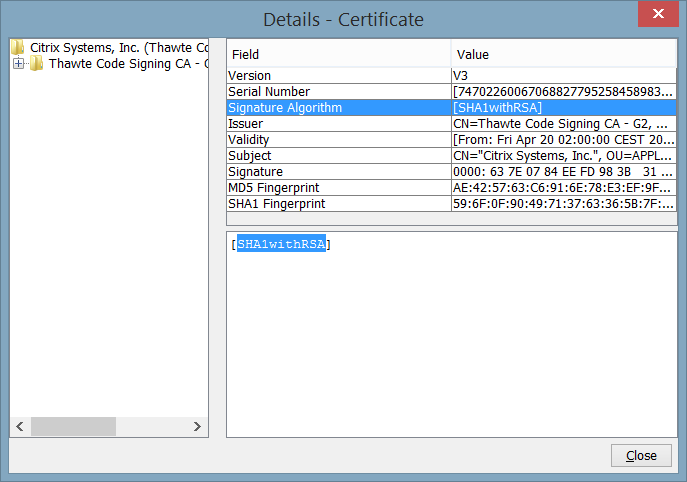 The JAR file that’s created previously needs to be signed with a certificate. Keep in mind that the certificate needs to be trusted by JRE! A JAR file can be signed using the jarsigner executable that;s part of the Java SE Development Kit (JDK). 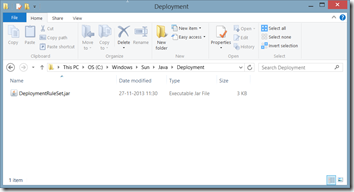 A JAR file with the name DeploymentRuleSet.jar is created using the unsigned DeploymentRuleSetUS.jar. 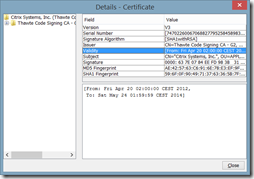 In my example I’m using a self signed certificate. 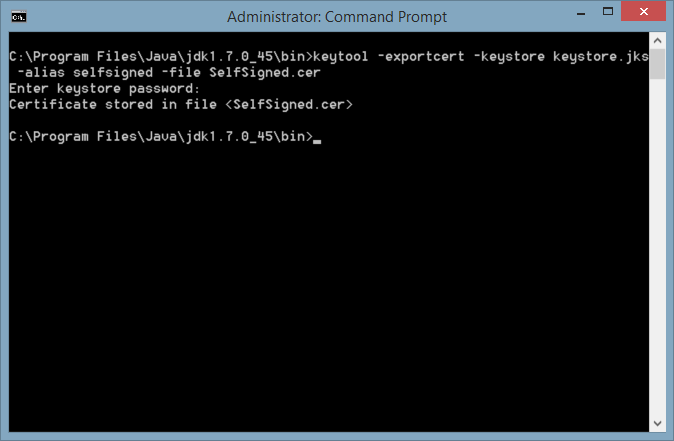 The signed JAR file containing the rule set needs to be placed in the folder C:\Windows\Sun\Java\Deployment. Access to this folder requires administrative access to the system. 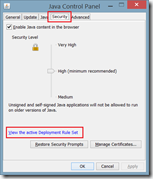 In the Java Control Panel you can verify if the rule set is detected and loaded correctly. 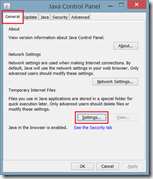 This can be done by opening the Java Control Panel, open the tab Security and clicking on View the active Deployment Rule Set. Thanks, Ingmar! It’s starting to get crazy managing NetScalers,with different versions of different browsers and Java. Maybe a sandboxed/packaged app collection is in order. 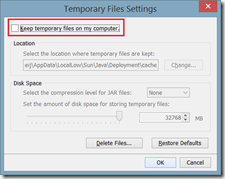 Also, you must clear your older java cache for applets. If you don’t the GUI will display an error. I guess it’s trying to use the older cache which is no good for the new version. Hi, any way to whilelist full address ranges using exception list or DRS ? We have hundreds of devices without any DNS name (switch, printers) to adress ! 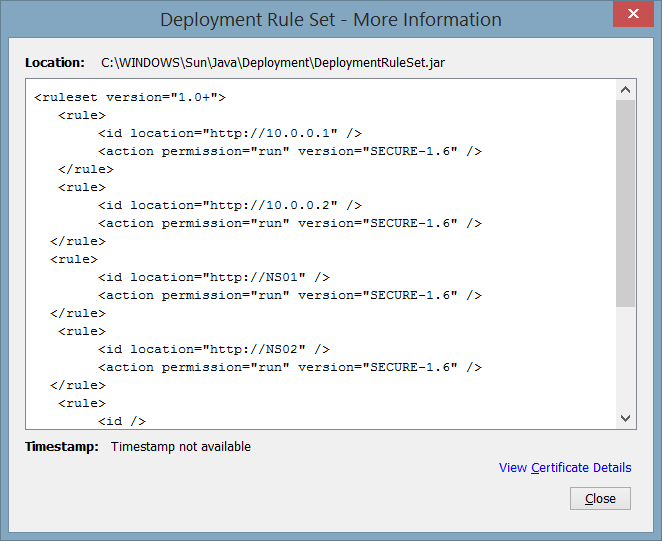 Unfortunately there’s no way to add a range / use a wildcard in the deployment ruleset.